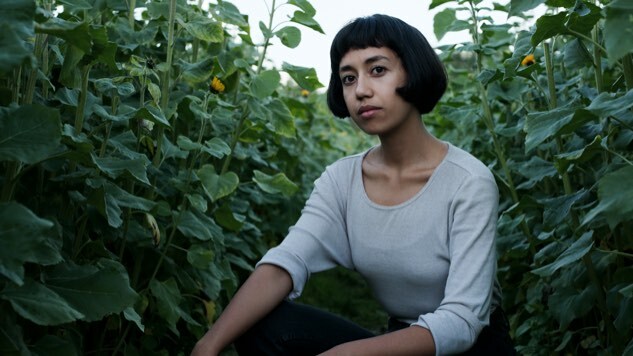 Portland, Ore. singer-songwriter Haley Heynderickx has unveiled a new video for “No Face” and announced a U.S. summer headlining tour in support of her debut album I Need To Start A Garden, released earlier this year. “No Face” was inspired by a bar fight Heynderickx witnessed and it stars a mysterious character of the same name from a Studio Ghibli film. In the song, Heynderickx combines beautiful folk-pop vocals reminiscent of Joan Baez with the emotional intimacy and lyrical illustrations of Elliott Smith. Haley and I wanted a silhouette for simplicity to complement the song. Shooting it surrounded by these plants, the palo santo, and the energy, it came together naturally in one take. We both loved how we tapped into the heart of the song itself — capturing the emotion so strongly. Heynderickx’s newly announced tour follows a run of dates with Nap Eyes in the U.K. and Ireland, an appearance at the Strawberry Music Festival in Shanghai and Beijing, and supporting dates with Ani DiFranco. Heynderickx will have her full band on the road with her for the first time since this year’s SXSW festival. Watch the new video for “No Face” and watch Heynderickx’s recent Paste Studio session below. Check out her upcoming tour dates further down.